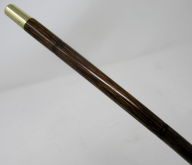 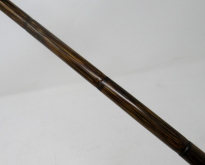 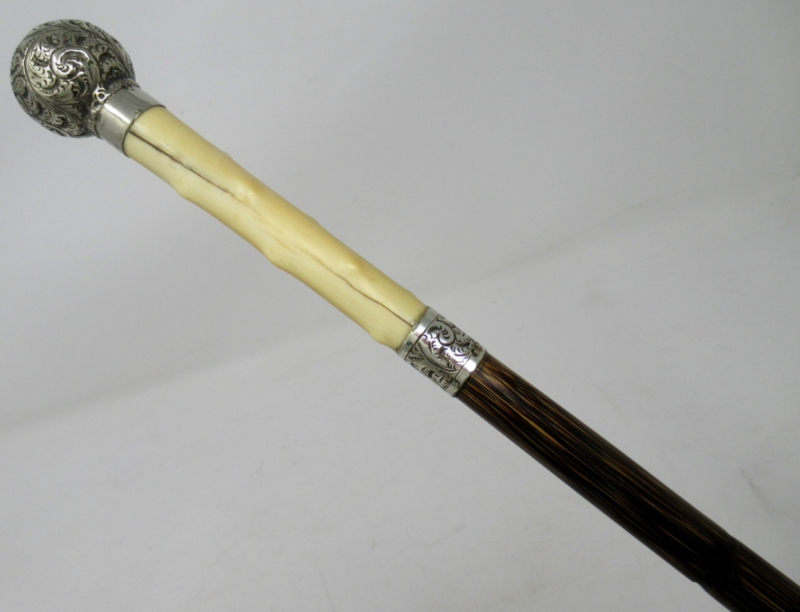 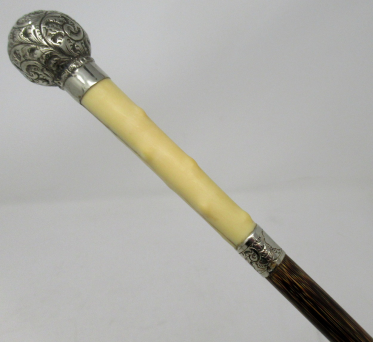 Fine Quality Well Figured Walking Cane with Highly Decorative embossed Silver Plated Ball Grip above a carved Ivory insert which is ending on a banded Partridgewood shaft. 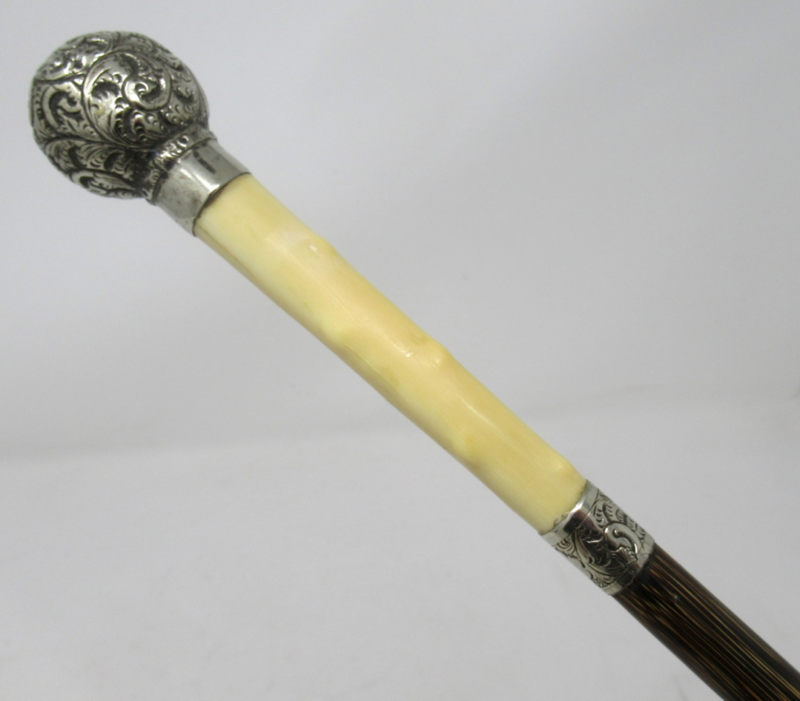 Late Nineteenth Century. The later plain metal ferrule is polished brass.